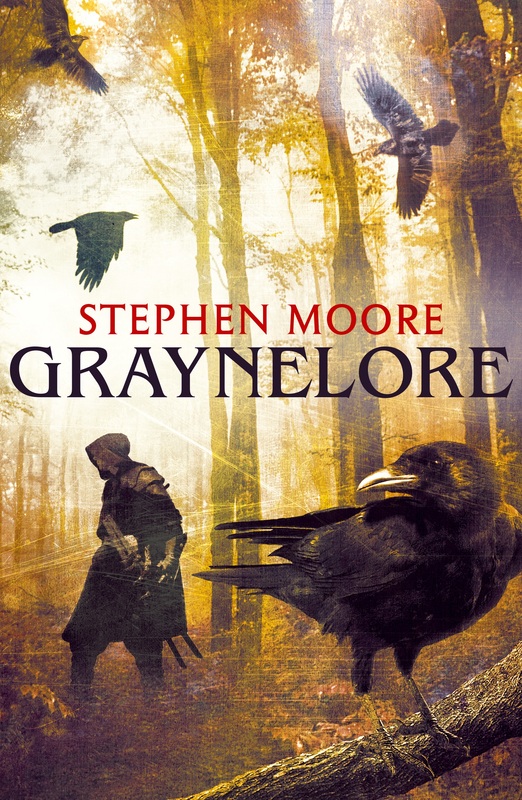 Stephen Moore’s fantasy novel, GRAYNELORE, published by HarperVoyager. 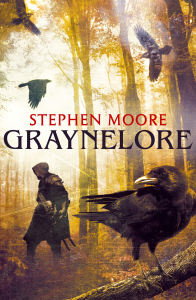 GRAYNELORE is a brutal, lawless world, where a man’s only loyalty is to his grayne (his family). Murder, blackmail, theft and blood-feud are all part of daily life. Faerie tales are myths, strictly for the children. Why then is Rogrig Wishard – a man who likes to solve his problems with his sword – suddenly hearing voices and seeing faeries for real? What makes him embark upon a seemingly ridiculous quest to restore a Faerie Isle to the world? Is he mad or simply faerie-touched?